As a Windows 10 user, you might face several issues and errors all through your journey with the OS. But you will admit that these errors are a result of your deeds - both intentionally or unintentionally. Few common causes for causing an error are an interruption of power or internet services or downloading of any infected files. Again one such error is DISM Error 87. This error is shown on the screen while working with the Command Prompt. 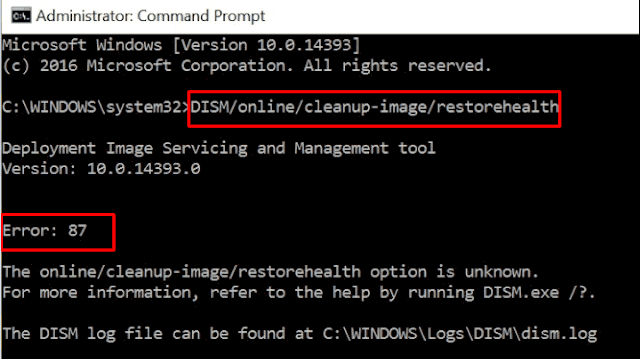 The full form of DISM is Deployment Image Servicing and Management. This aims in working towards the repairing of image issues in the PC. Not only does this repairs but it also helps in capturing and splitting files. On top of that, it also organizes Virtual Hard Disks.